then truth will not be withheld from you. (From the movie Eat, Pray, Love). She lives on Long Island with her husband and cats. She graduated from Marywood University with a B.A. in Psychology and a minor in Music. She is an MBA from Hofstra University, a First Degree Black Belt, and an avid golfer. In 2009, Margeret was diagnosed with ovarian cancer and her world suddenly changed. She started to chronicle her discoveries. She stumbled upon the dirty secret of the cancer industry: chemotherapy does not work. As her research progressed to the discovery of the truths about conventional treatment, she also opened up to the inspiration that life offers to us all on a daily basis, if only we pay attention. She started blogging about her discoveries. The book unfolded as her journey unfolded. In October 2009, the surgeon leaned over me in the recovery room and shouted, “It was malignant.” My husband then leaned over me and whispered gently, but with conviction, “We WILL grow old together.” That day was the start of my journey through the labyrinth of the cancer industry. The Cancer Odyssey: Discovering Truth and Inspiration on the Way to Wellness chronicles my journey, searching both for truth about the cancer industry, and for inspiration about the purpose of life. This is a book of survival, a book of encouragement to show others in this situation how to live and how not to die. This book is about how to be brave enough to resist the pressure of the medical “standard of care”, how to explain to well-meaning family and friends that you are going against conventional medicine, how to be open enough to find inspiration in life and to achieve happiness. This is the only way to survive cancer. This book is a blueprint to help others to overcome the fear of cancer and to return to wellness, by finding their own truth and their own inspiration. This book offers an approach to dealing with cancer from a new viewpoint – to empower people to challenge the medical advice of chemotherapy that most people have unquestioningly accepted as the only option. It encourages people to question and research, and to take their health care decisions into their own hands, because survival depends upon making the right decision. The author is a survivor by choice, sheer luck, profound faith, and determination. She is an ordinary person who was called upon to do the extraordinary: overcome cancer and live to tell the story. To raise enough reasonable doubt about the motives and ineffectiveness of the cancer industry in approaching this disease so that people will start to question the “standard of care” treatment—chemotherapy. 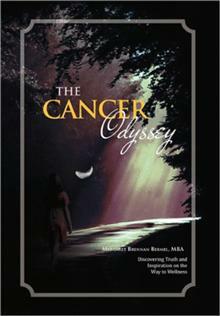 To challenge the readers to suspend their belief system in the traditional approach to cancer. At one time or another, everyone will hear a doctor tell them that they or a loved one have cancer and that they need chemotherapy. To help others who suddenly find themselves caught in the same situation that I suddenly found myself in over a year ago: the cancer trap. My mission is to encourage people to ask questions and receive answers that are satisfactory to them. I think it is important to both listen to your gut and to learn about various options. I am not a medical practitioner and I cannot offer any medical advice or recommendations. I can only encourage people to find the treatment that is right for them. Although I am a strong proponent of natural treatments, in some circumstances the conventional treatments may be appropriate. My intention is to help people set their fear aside to enable them to approach this challenge with the strength to ask the questions that need to be asked, in your situation, “How will this treatment help ME? We must stop going along with the conventional “inside the box” thinking, that chemo is the correct knee-jerk reaction to cancer. It is not, and we must challenge it. Chemotherapy is NOT the solution that people believe it is. Big Pharma is the driving force behind the millions of futile treatments and resultant deaths … people should finally start asking questions and demand answers, and stop dying. Chemotherapy is the greatest fraud ever perpetrated upon the American public. The Big Pharma-FDA complex must be exposed as a cartel colluding, not on curing cancer, but on generating profits. Cancer treatment is the Rolls-Royce of the medical profession. This is where the real money is. Oncologists are the Rolls-Royce sales team of the cancer industry. What will it take to get you into this car today? What will it take to get you to sign up for chemotherapy today? Very strong sales tactics. A sense of urgency. Scare tactics. It is not about altruism. It’s about “show me the money.” People need to hear this message before making the very real life and death decision about chemotherapy. The war against the cancer industry is the real “battle for truth, justice and the American way.” Think of chemotherapy as kryptonite. It is toxic. It can harm healthy cells and organs. It can kill the cancer. It can also kill the patient. Does chemotherapy work? Maybe, sometimes, with some specific cancers. But very often, it does not work. Some cancer cells may die, but the collateral damage is the patient’s life. Approximately 600,000 Americans die each year ostensibly from “cancer”—but are they actually dying from the treatment? A very provocative question. Everything we thought we knew about chemo didn’t come from data sources, it comes from media sources fed by the pharmaceutical companies selling their wares. Chemotherapy may be the correct choice in a particular situation, but it should be a “choice” and not a “given.” The choice should be made only after a thorough review of all facts and all options. The oncologist, much like a salesman, will try to create a sense of urgency in order to make the sale. Recognize this as a sales tactic and don’t succumb to it. Insist upon taking the time to do your research. Who is the FDA protecting us from? If no one was dying in this country from cancer and cancer treatment, then it might be appropriate for the FDA to block other treatments from the marketplace. We would say that cancer treatment is efficacious. There would be no need to search for an alternate treatment. There would be no need for this book. But 600,000 deaths annually? These people all took the treatment, and we know that they took the treatment because the statistics don’t track the people who decline treatment. Something is very wrong here. It doesn’t add up. It must be challenged. The actions of the FDA must be scrutinized. Over a year ago, I had major surgery and was diagnosed with ovarian cancer. I wrote the first story on January 1, 2010 … On that date, I was only 2 months out from receiving a diagnosis, and on that date, I stopped reeling from the fear, panic, dread, despair, and anxiety, and took control of my life. What you are feeling today, I also felt. It is a scary place to be, but feel that I am holding your hand to guide you through this storm. You will be able to follow the progress I made by making discoveries about treatment options (what works and what doesn’t work) and discoveries about life options (what we can do to save our own lives). This has been a tremendous effort, a change in lifestyle, a change in eating habits, and a change in mental and emotional patterns–eliminating stress from my life, even in stress-producing situations. The key to recovery from cancer is the awareness of truth; this will lead to making informed choices. I learned the truth about chemotherapy and so I avoided it. Hopefully, you may find that some of my discoveries will help you through your own process. My focus is on healthy living, and on natural alternatives to toxic treatments. In some situations, some type of treatment may be the correct choice; however, it is very important that you ask questions and know exactly what your options are. Find a medical professional who fits your comfort level. If your gut is telling you something is wrong with what you are hearing, then it probably IS wrong for you. Don’t be afraid to get a 2nd, 3rd, 4th opinion. Do not just go along with recommendations without question. Chemotherapy is the big killer, not cancer per se, but chemotherapy. Chemo is not all that it’s cracked up to be. Learn everything you can before you or your loved one agrees to it. Choose the right path for you to return to wellness. Listen to your gut, listen to your heart, think this through. You are your own best resource. You are your own best healer. Do your research, read a lot. Do not panic. You have time. Take a deep breath and you will get through this. Trust. BE WELL! You can do this. Through my own health circumstances, I was forced to research this issue. I am grateful every day that I was able to sift through the deception and misleading statistics, and decline the highly toxic “standard of care” which I believe would have led to certain death. Many people do not do this; they succumb to the scare tactics; they are too afraid not to go along with the conventional recommendation. Read this (book) first before taking chemo. Once it is understood that the cancer industry is driven by the profit motive, and not by altruism, then you have empowered yourself to ask the questions that need answers. Find out specifically HOW chemo will help YOU in your specific situation. Find out if taking chemo will make you BETTER. This is key. Most people taking chemo think that if they go through with it, if they take their medicine, that they will emerge healthy. Many people do not emerge from chemo. It turns out to be a slow, painful death. The point is: find out exactly what you are getting into, BEFORE you get into it. Keep an open mind as you read through this. Start to notice what people say at funeral services for family and friends who died from ‘cancer’. People will whisper in hushed tones that they think that it was the ‘chemo’ and not the ‘cancer’ that killed the deceased. Pay attention. People are starting to realize that chemo doesn’t work, and that the cancer industry has to come up with something better than this. Demand answers. Demand better options. This entry was posted in Medical treatments and tagged chemotherapy, medical treatment for cancer by CA Care. Bookmark the permalink.